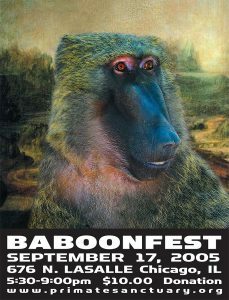 Thousands of baboons are commonly used in biomedical research as models for human diseases and many are held privately and used as pets or in entertainment. When baboons are no longer wanted in research or when they become too large and dangerous for private owners to care for them, there are few options available. Many spend decades in small enclosures under impoverished conditions or are euthanized. Very few animal sanctuaries in the United States accept baboons due to their large size and space requirements. 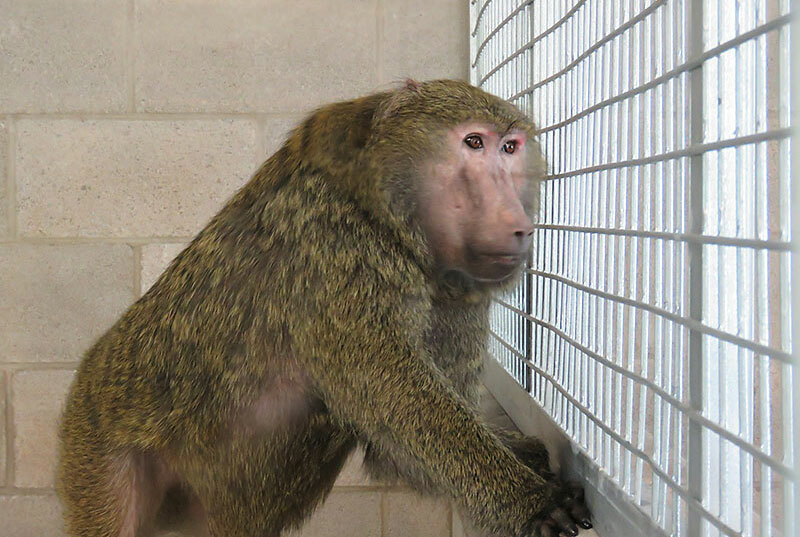 Peaceable Primate Sanctuary was created to fill this unmet need and to provide a sanctuary for baboons retired from use in biomedical research, as pets or entertainers. Our organization was incorporated in 1997. 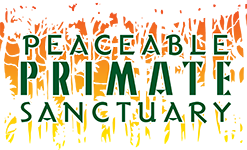 Peaceable Primate Sanctuary was recognized by the IRS as a 501 (c) 3 non-profit organization in 2000 to carry out its charitable and educational mission. Our organization is governed by a board of directors, which consists of 3 voting members with expertise in fundraising, estate planning, animal care and board development. Our articles of incorporation and by-laws provide guidance to our board members in completing their fiduciary and management duties. The Director and Founder Scott Kubisch, who has 25 years of experience working with baboons and other nonhuman primates, leads Peaceable Primate Sanctuary. 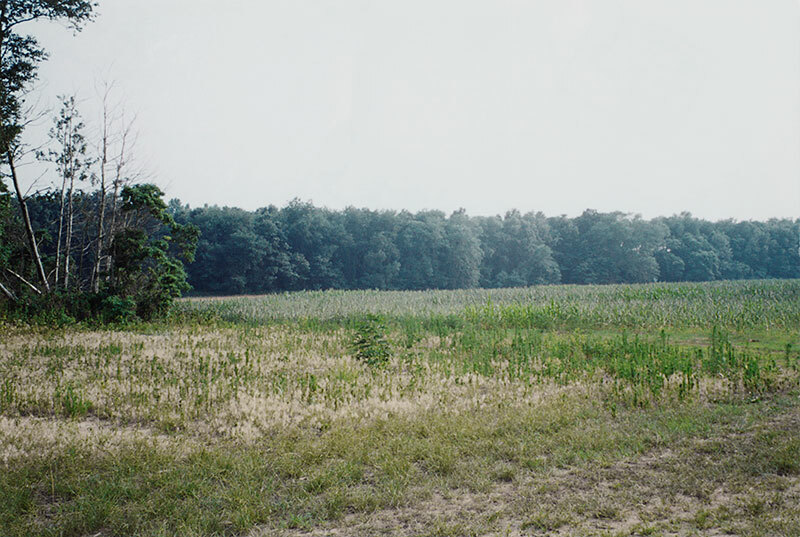 In 2002, 39 acres of land in Winamac, Indiana was purchased on which to build the sanctuary. Through contributions by private donors and gifts-in-kind, we built animal housing at the sanctuary that will provide a home to 15 baboons, a food preparation and storage building, an office, perimeter fencing, gardens. The sanctuary was designed after careful consultation with experts in baboon housing, management and care, and upholds all local, state and federal regulations. We accepted our first baboons in May 2016 and our goal is to care for 60 baboons by 2020. Financing and fundraising efforts, annual contributions, along with interest from a trust provided to Peaceable Primate Sanctuary, will help us cover operating costs, animal rescues, animal retirements, and future expansion plans. Inform the public of the plight of our sanctuary’s inhabitants and to educate visitors in regard to humane treatment and respect for all animals. Our vision is to continue building a financially stable and sustainable sanctuary providing excellent lifetime care to baboons and other nonhuman primates. unknown numbers of baboons are held by private individuals as pets or entertainers. Given the large size of baboons, who can weigh 70 pounds or more as adults, and the fact that they are wild animals with natural instincts incompatible with being treated as pets or entertainers, they quickly outgrow these private homes. The situation for unwanted baboons is dire – most are locked up in small cages alone and some are euthanized. Disclaimer: PPS does not support or condone any animal organization in an effort to work alongside everyone to rescue Baboons from unnatural or abusive environments and place them in legitimate, sustainable sanctuaries.